The identification is not confirmed. 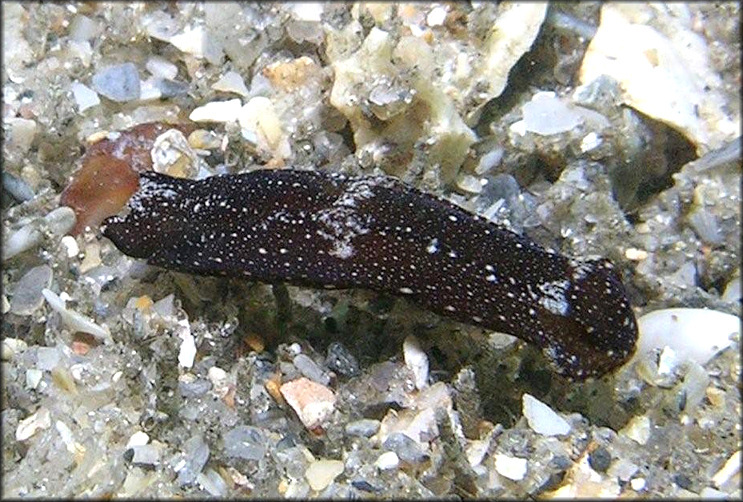 Philinopsis annae and P. petra are considered cryptic species. Even though Phillinopsis annae can be distinguished from P. petra by some external traits, these differences only become evident in light of molecular data. The main differences between these two species are molecular and internal (shell and reproductive morphology) and therefore not visible in live animals. Photographed by Anne DuPont while SCUBA diving in 18 feet of water at Lake Worth Lagoon near Peanut Island, Palm Beach Inlet, Palm Beach Co., Florida 5/9//2009. Underwater photograph copyright 2009 by Anne DuPont.